A T-shirt design alludes to an Ustasa slogan at a controversial Croat commemoration in Bleiburg, Austria in May 2018. Photo: EPA-EFE/ALEX HALADA. Political T-shirts promoting nationalist ideas, glorifying war criminals and celebrating right-wing leaders from World War II are widely available in Croatia, Serbia and Bosnia and Herzegovina. Anja Vladisavljevic, Filip Rudic, Mladen Lakic BIRN Zagreb, Belgrade, SarajevoWhen a nationalist T-shirt shop and online store in the Croatian city of Split wanted to celebrate the World War II fascist Ustasa movement without getting into trouble with the authorities, it came up with a novel idea. 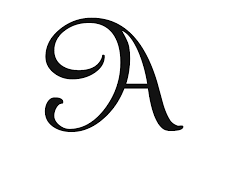 It created a T-shirt with a stylised letter U – which stands for Ustasa – incorporated into a Smiley-face emoticon. ‘Uncle Smiley’, it called the garment. The shop, Patriot Hrvatska, sells a wide collection of shirts with nationalist and more or less subtle fascist motifs, including ‘Za dom spremni’ (‘Ready for the Home(land)’), a slogan used by the Ustasa movement. The slogan – whose use is banned in certain circumstances in Croatia – is again slightly disguised in Patriot Hrvatska’s T-shirt print, which omits the word ‘home’ and replaces it with a picture of a house to avoid any potential legal consequences. Meanwhile the shop’s catalogue features controversial Croatian right-wing pop star Marko ‘Thompson’ Perkovic, who has sung for war crimes defendants, as a model. A staff member called Filip declined to talk to BIRN about Patriot Hrvatska’s wares, explaining that “since the Republic of Croatia is not in the Balkans and thus automatically does not belong to any kind of imaginary region, I consider every conversation on the subject pointless as well as futile”. Patriot Hrvatska’s Facebook post of the T-shirt design. 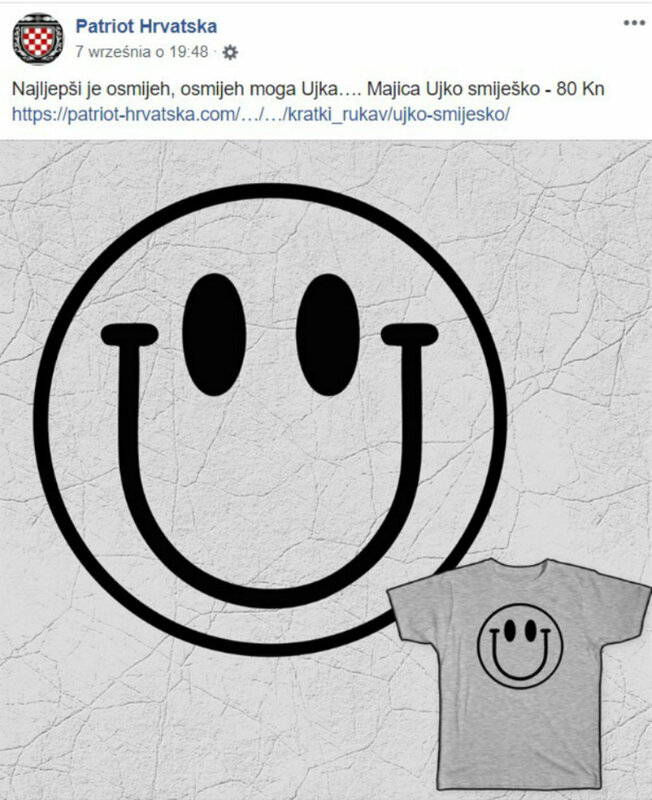 But after the ‘Uncle Smiley’ story was reported by some local media, Patriot Hrvatska released a statement on its Facebook page saying that everyone sees the things that he or she wants to see, describing the T-shirt as “something like a Rorschach test, just with political connotations”. T-shirts that celebrate nationalist ideas or right-wing personalities are on sale in several Balkan countries. In Croatia, patriots can choose from medieval motifs such as Glagolitic script or the Croatian interlace design, or buy shirts featuring the Croatian coat of arms, the symbolic war-damaged water tower in the town of Vukovar, the images of 1990s ‘Homeland War’ generals or the crossed-out face of Yugoslav President Josip Broz Tito. Symbols of the Croatian Defence Forces, a 1990s wartime paramilitary unit and the militia of the far-right Croatian Party of Rights, which were inspired by the fascist Ustasa, are also often printed on shirts. Young Croatians can be seen wearing such T-shirts at the annual party in the town of Knin to mark the anniversary of Croatian Army’s Operation Storm, which led to an exodus of Serbs from Croatia in 1995, as well as at Thompson’s concerts. In May this year, some pupils from a Zagreb high school wore T-shirts with the slogan “Za dΩ [the symbol for ‘ohm’] spremni” during a graduation celebration. Unlike German law, which bans the use of specific Nazi symbols and slogans, Croatian legislation does not say precisely what is not allowed. Article 325 of the Croatian criminal code specifies that people who “call for hatred or violence to be directed against groups… because of their racial, religious, national or ethnic affiliation” can be punished with a three-year prison sentence, while organisers of hate-mongering groups can receive up to six years in prison. Article 325 also says that people who “publicly approve of, deny or significantly belittle criminal acts of genocide, acts of aggression, crimes against humanity or war crimes” can face up to three years in prison. However, hardly anyone chanting ‘Za dom spremni’ or displaying Ustasa insignia is prosecuted according to Article 325. Instead they are usually charged under misdemeanour legislation and fined. Croatia’s government-appointed Council for Dealing with Consequences of the Rule of Non-Democratic Regimes said in February this year that the authorities should allow the ‘Za dom spremni’ salute to be used “in exceptional situations” under strict conditions, such as by Croatian Defence Forces veterans. Nikola Puharic from the Youth Initiative for Human Rights Croatia told BIRN that major responsibility for the popularity of such symbols lies with politicians, state institutions and the country’s educational curriculum, in which World War II history is poorly covered. 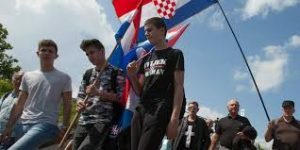 He cited research conducted by Croatian NGOs in 2015 which suggested that nearly three-quarters of senior secondary-school students did not consider the Ustasa-led WWII-era Independent State of Croatia to be a fascist creation. “It is not surprising that such political ideas are appreciated by young people when Prime Minister Plenkovic says that ‘Za dom spremni’ has dual connotations [and is not necessarily a fascist slogan], when this salute is part of a [Croatian Defence Forces] memorial plaque near the former [WWII] Jasenovac [concentration] camp, and when President Grabar Kitarovic manipulates and mystifies what happened in that Ustasa camp,” Puharic told BIRN. A Serbian T-shirt with pictures of war crimes suspects General Ratko Mladic and Radovan Karadzic. Photo: EPA/SASA STANKOVIC. In Serbia, clothing featuring images of WWII Nazi collaborators and controversial figures from the 1990s wars are readily available. For example, the Delije (Heroes) online shop, named after the Red Star Belgrade football club fan group, sells T-shirts printed with the image of Bosnian Serb political leader Radovan Karadzic, who is in detention awaiting his appeal against his 40-year prison sentences for genocide and other wartime crimes. “Although it’s not our custom to talk about politics, it is a fact that Radovan Karadzic is the favourite Serbian politician in stadiums all over Serbia,” says the shirt’s description on the Delije store’s website. 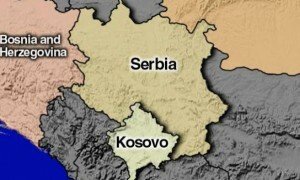 Another online store, the Small Serbian Shop, sells a wide variety of T-shirts commemorating the WWII Chetnik movement and various designs declaring that ‘Kosovo is Serbia’, including one that imitates the Coca-Cola logo, as well as ones celebrating ‘Orthodox brotherhood’ with Russia. 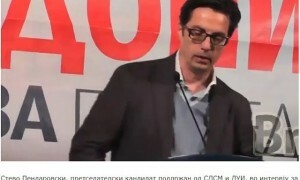 Milan Antonijevic, director of the Lawyer’s Committee for Human Rights, YUCOM, pointed out that Serbian law bans not just neo-Nazi and fascist symbols, but also ones that “propagate or justify the ideas or actions of individuals that were convicted of war crimes”. 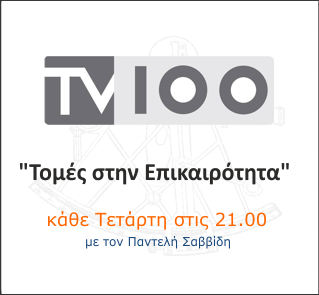 The law envisages fines between 100,000 and one million dinars (around 830 to 8,300 euros) for any legal entity that “distributes, reproduces, stores, spreads, or in any other way uses” such symbols – but the legislation is not enforced by the authorities. “This law, passed in 2009… is good and should finally begin to be implemented,” Antonijevic told BIRN. Meanwhile, it’s not unusual to see nationalist T-shirts featuring the image of Bosnian Serb military chief Ratko Mladic or WWII Chetnik movement leader Dragoljub ‘Draza’ Mihailovic, who was executed for Nazi collaboration and treason by the Yugoslav Communists but rehabilitated by a Belgrade court three years ago, openly displayed on street stalls in city centres in Serbia. A man waves a Chetnik flag with the slogan ‘Freedom or death’ as people protest against police reforms in Banja Luka. Photo: EPA/DRAGI VEJNOVIC. Among the souvenirs on sale in a small shop in the town of Pale, some 20 kilometres from Sarajevo in Bosnia’s Serb-dominated entity of Republika Srpska, are black T-shirts depicting Radovan Karadzic alongside others emblazoned with the words ‘Serbian Honour’, the name of a Serb right-wing organisation that is active in Bosnia. A man who identified himself as the shop’s owner declined to allow BIRN to take pictures of the T-shirts. “As a customer, you are more than welcome, but I do not have anything to say to reporters,” he said. T-shirts with the images of Karadzic, Ratko Mladic, Chetnik leader Draza Mihailovic and Croat Ustasa fighters can often be found in shops or on street stalls in Bosnia’s bigger towns. The Ravna Gora Chetnik movement, the name by which Mihailovic’s Chetniks were known, also holds an annual meeting in Visegrad at which members wear shirts decorated with Mihailovic’s name or face and other Chetnik symbols. Meanwhile the Ustasa ‘U’ can be seen on shirts at football matches and other events at which ethnic tensions surface. Zlatiborka Popov Momcinovic, a professor of sociology from East Sarajevo, said this shows that Bosnian society is still struggling with the legacy of its recent past, but also with unresolved issues from World War II and the conflict between monarchist Chetniks and Tito’s Communist Partisans. Nationalist T-shirts are sometimes used as a tool to reinforce divisions based on ethnicity in the country, Popov Momcinovic added. “We had protests when they [Karadzic and Mladic] were arrested, in 2008 and 2011 and those T-shirts were part of the decor, so to speak,” she said. There were similar scenes during or after Karadzic and Mladic’s verdicts were handed down by the Hague Tribunal. 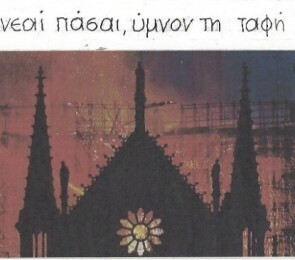 “I like to call these periods of intensive hate, and then we go deeper into the past, so Draza [Mihajlovic] or whoever joins this parade of symbols showing us how deep the problem is,” Popov Momicnovic suggested. Bosnian law has no definition of what a fascist organisation is, and fascist symbols are not banned. 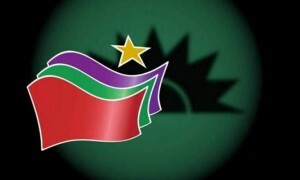 There were several initiatives to introduce such legislation in the Bosnian state parliament but they did not get the support of political parties from Republika Srpska. Controversy centred around the fact that the proposed legislation would prohibit Chetnik and Ustasa groups as well as organisations based on the Handschar division of the Nazi Waffen-SS, whose members were Bosnian Muslims and Croats. In Republika Srpska, politicians argued that the Chetniks should be excluded from the legislation because they were a liberation movement that stood against fascism. 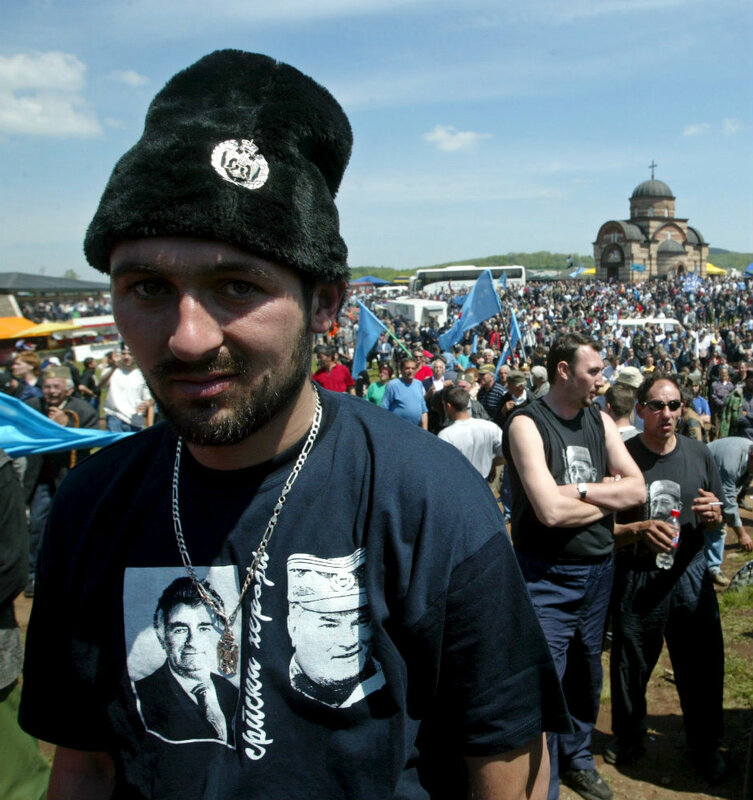 Popov Momcinovic argued that poor education about the country’s wartime past contributes to a situation in which some young people feel it acceptable to wear T-shirts with the faces of war criminals. “I do not believe that a law in itself would regulate this, although it is necessary to define what fascist symbols are in Bosnia. It must come as a result of education and the willingness of all to accept that,” she suggested. The phenomenon of nationalist symbols being openly displayed on T-shirts again illustrates how “the process of reconciliation is fragile, especially when the focus is on facing or dealing with the past”, she said.